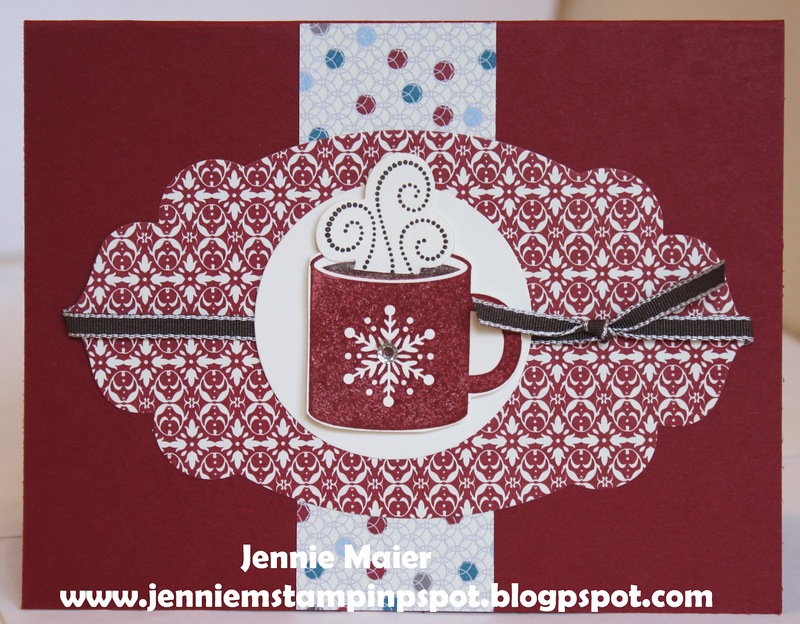 This card uses the Create with Connie and Mary Color Challenge#220 here, and the Freshly Made Sketch#54 here. 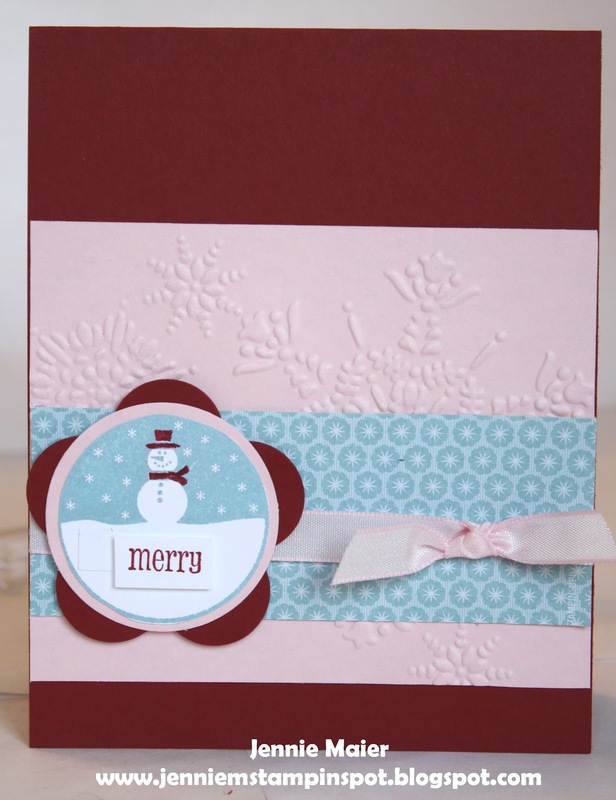 The colors to use are Cherry Cobbler, Pink Pirouette and Baha Breeze. 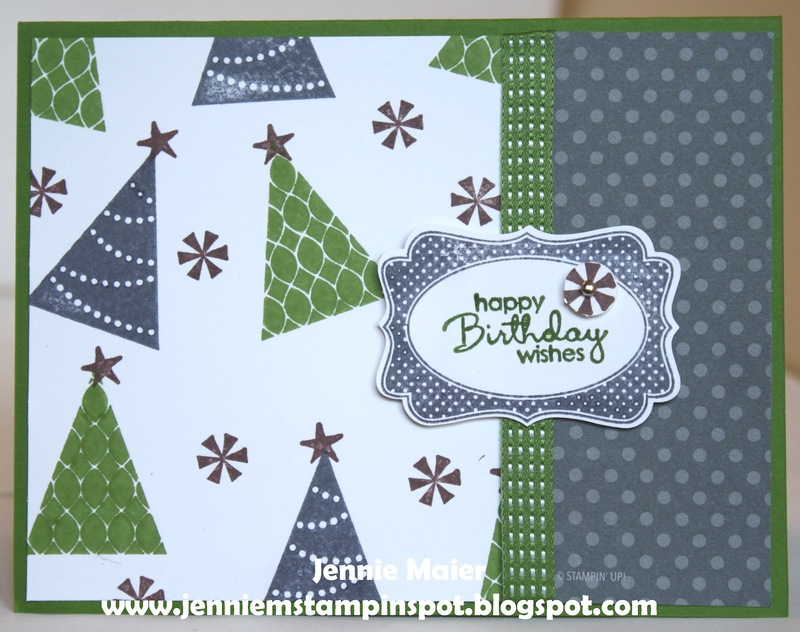 I used the Tags til Christmas and Pennant Parade stamp sets and some Floral District DSP. I'm getting a head start on my Christmas cards so I thought I'd share another one. 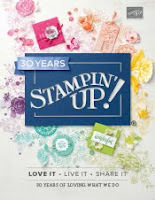 I saw a similar sample on Stampin' Connection-a Stampin' UP! resource for demos, but I made mine a Christmas card. I used the Happy Hour stamp set with yet more Festival of Prints DSP. 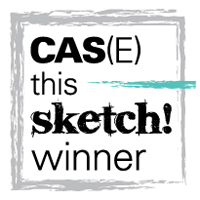 Who doesn't need CAS cards? I sure do so I kept these four Christmas cards pretty simple. 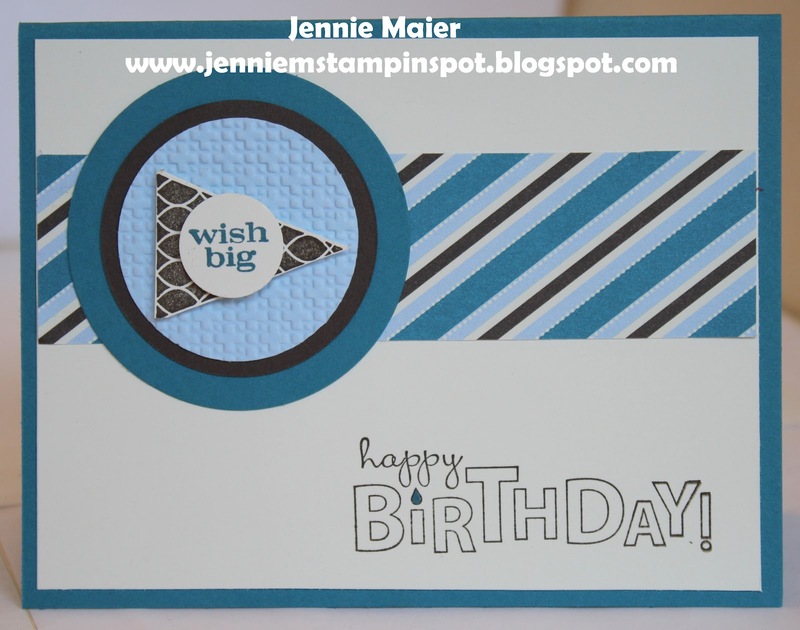 I just changed up the papers and stamp sets but kept the basic design. Quick and cute! 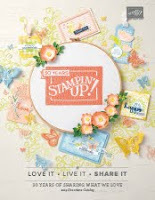 I used the stamp sets Scentsational Season and Embellished Events. The DSP is Polka Dot Parade and the DSP Brights stack. 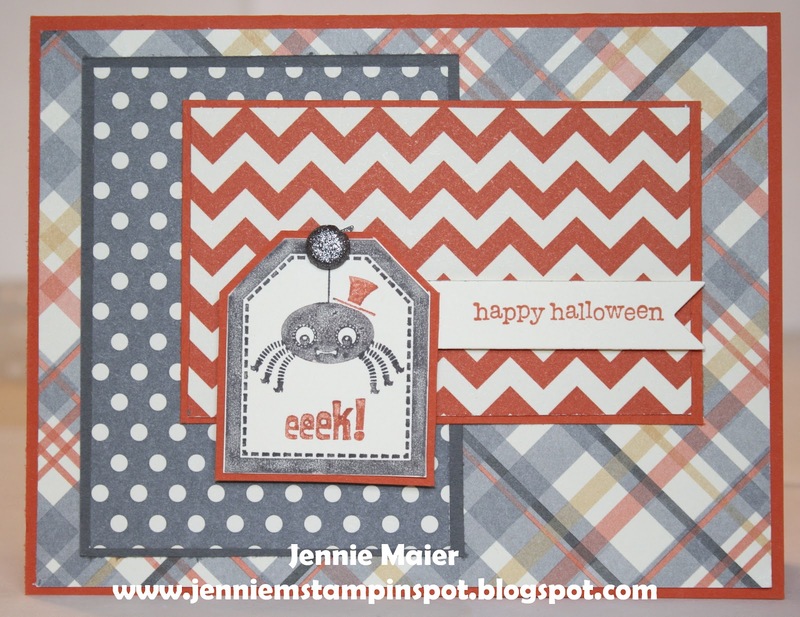 I saw this card by Penny Smiley and had to make one with my own touches. I used the Splitcoast Color Challenge#394 here. The colors to use are Not Quite Navy, Pacific Point and Sahara Sand. I paired the papers with the stamp set, Bring on the Cake and used the Essentials Paper-Piercing Pack on the Whisper White piece cut with the Apothecary Accents Framelits. For this Christmas card I used the MojoMonday Sketch#260 here. 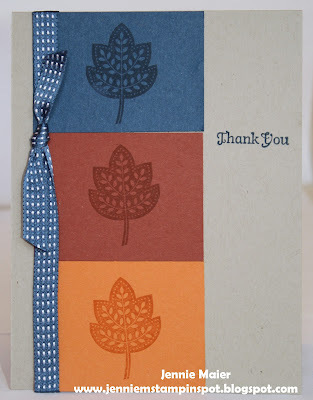 I used the Scentsational Season and Mixed Medley stamp sets along with some Festival of Prints DSP. 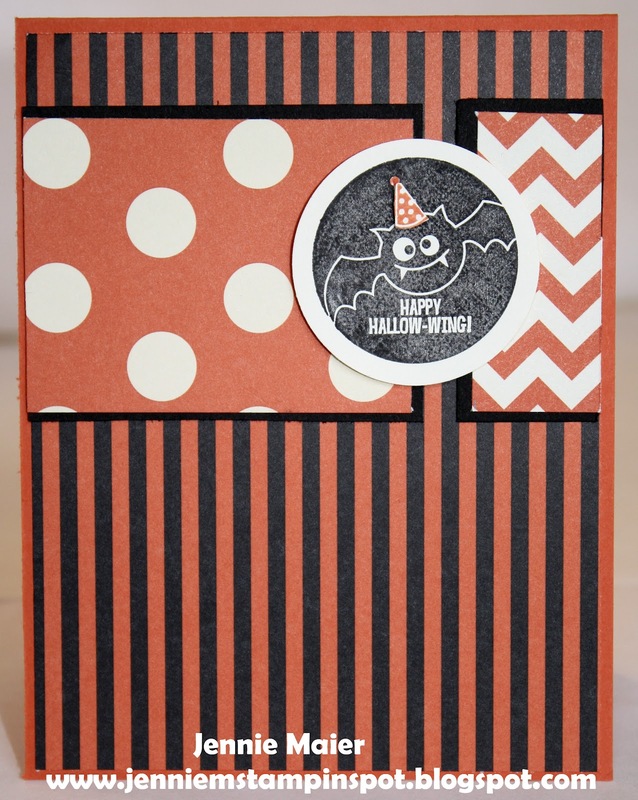 I used the PPA Sketch#143 here for this really quick card. It really showcases the Howlstooth and Scaringbone DSP. And the stamp set is Wicked Cool. 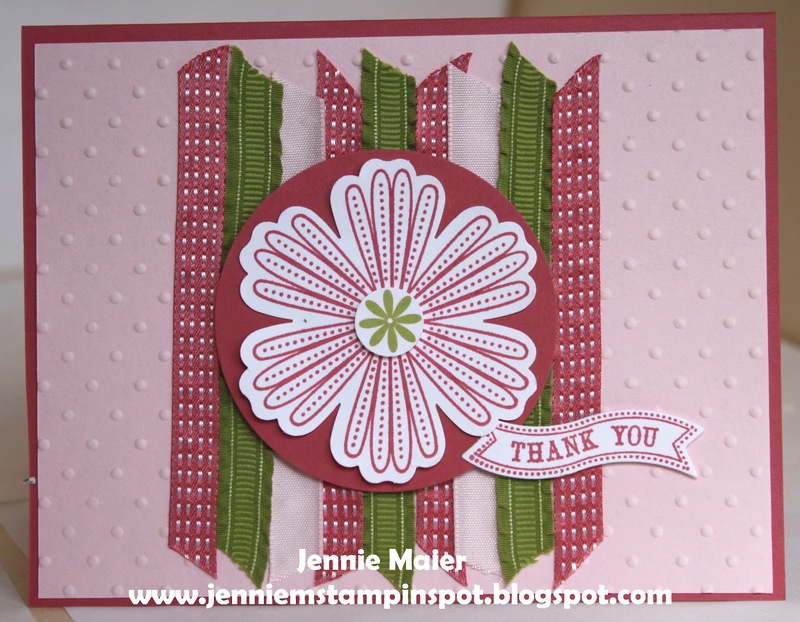 This thank you was made using the Freshly Made Sketch#53 here, and the Splitcoast Color Challenge#393 here. The colors to use are Lucky Limeade, Primrose Petals and Pink Pirouette. 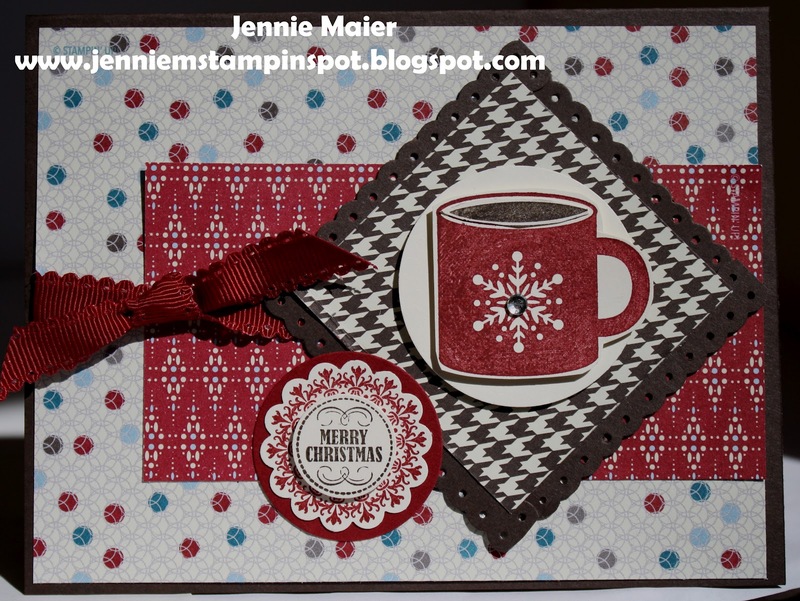 I used the stamp sets Mixed Bunch and Itty Bitty Banners. 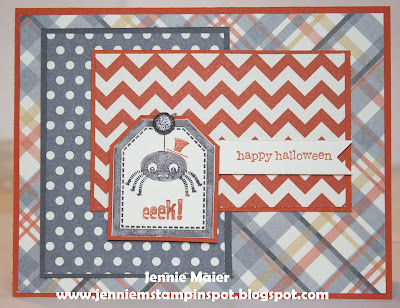 This quick Halloween card came together because I used the awesome Splitcoast Sketch Challenge#403 here. I used the stamp set, Tricky Treats with some Howlstooth & Scaringbone DSP. 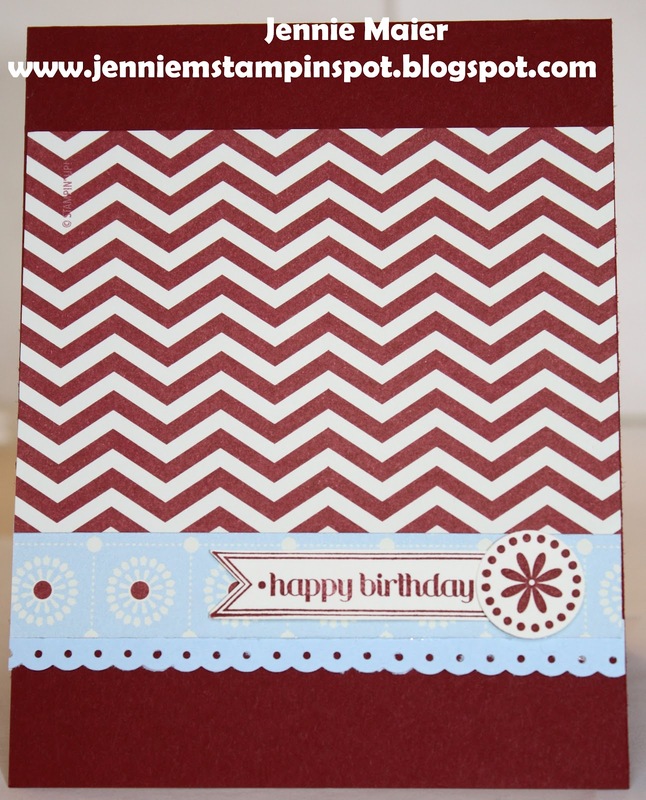 Here's a quick masculine birthday card. I saw this card by Megan Daves and changed mine up a bit. I used the Bring on the Cake and Pennant Parade stamp sets. The DSP is from the Festival of Prints DSP. 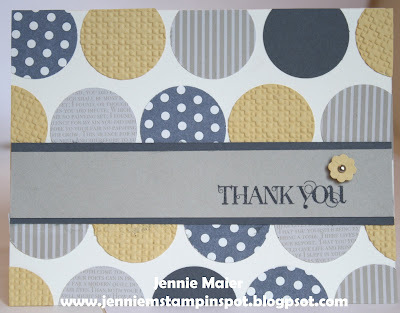 For this thank you I used the FabFriday Color Challenge#2 here. The colors to use are So Saffron, Sahara Sand and Basic Gray. I coupled that with the Clean & Simple Stamping FTL#208 here. Just used my 1 1/4 inch Circle punch on some Howlstooth & Scaringbone DSP and some Neutrals DSP Stack. 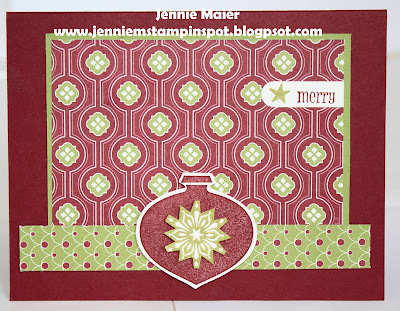 I ran the So Saffron thru the Big Shot with the Square Lattice embossing folder to add some texture too. And then I used the Curly Cute stamp set. This fall card was made for two challenges. 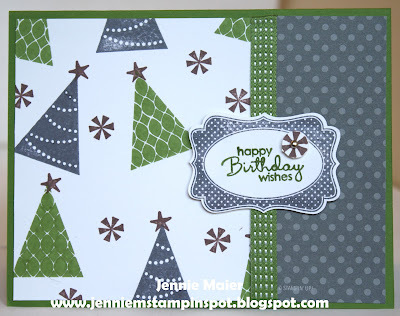 First, I used the Stamping 411 Sketch#271 here. I'm so sad to see them take a break, as their sketches were always so great!!!!! 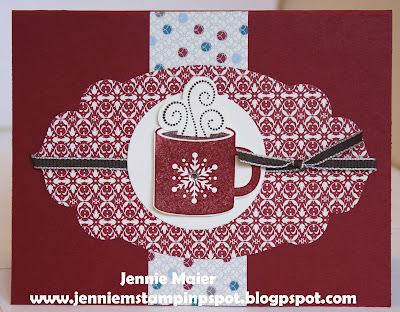 And second, I used the Stampin' Celebration Inspiration Challenge#58 here. 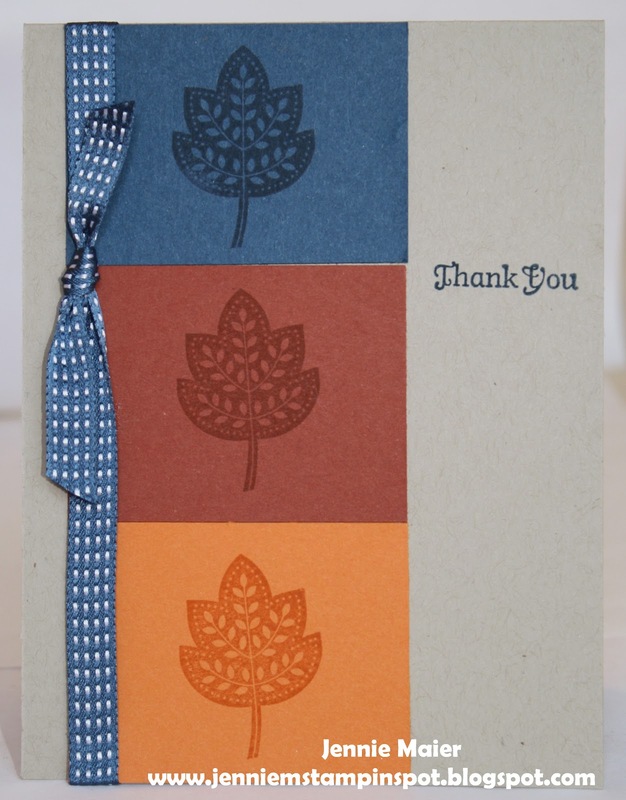 I used the Day of Gratitude stamp set with the colors of Soft Suede, Summer Starfruit and Tangerine Tango. I cut out the bottom Summer Starfruit piece and the Soft Suede piece with the Apothecary Accents Framelits and then ran the Starfruit piece thru the Big Shot with the Square Lattice folder. I used the Splitcoast Sketch#402 here for this Christmas card. 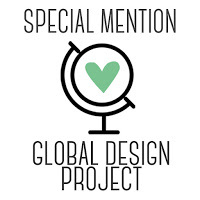 And if you haven't noticed, I just love the Festival of Prints DSP! Sooooo many options. 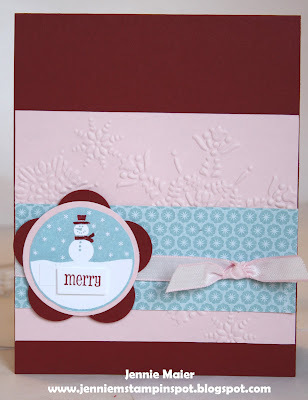 Stamp sets are Snow Swirled and Petite Pairs. 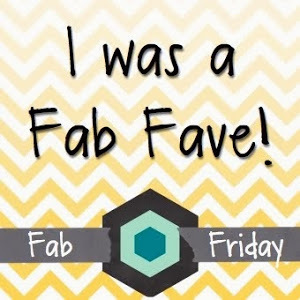 Happy Anniversary at the Freshly Made Sketches Blog! 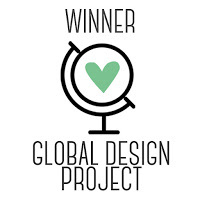 It's the 1 year anniversary at the Freshly Made Sketches blog here. So it's your choice to use any one of their past sketches. I chose the FMS#8 here. The stamp sets are Delightful Decorations and Pennant Parade. And of course, more Festival of Prints DSP! 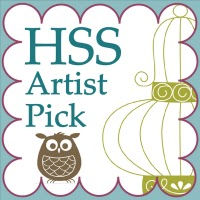 I can't get enough of the Festival of Prints DSP with the Scentsational Season stamp set! 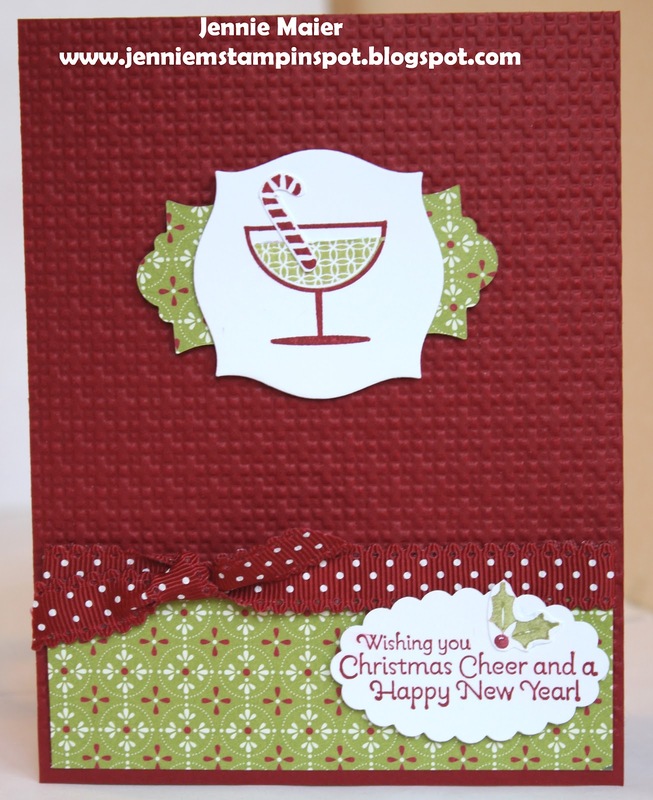 I also used the Apothecary Accents and Holiday Collection Framelits dies too. I used the Clean & Simple FTL#207 here for this card. And I combined it with the Splitcoast Color Combination#392 here. The colors to use are Midnight Muse, Cajun Craze and Pumpkin Pie. 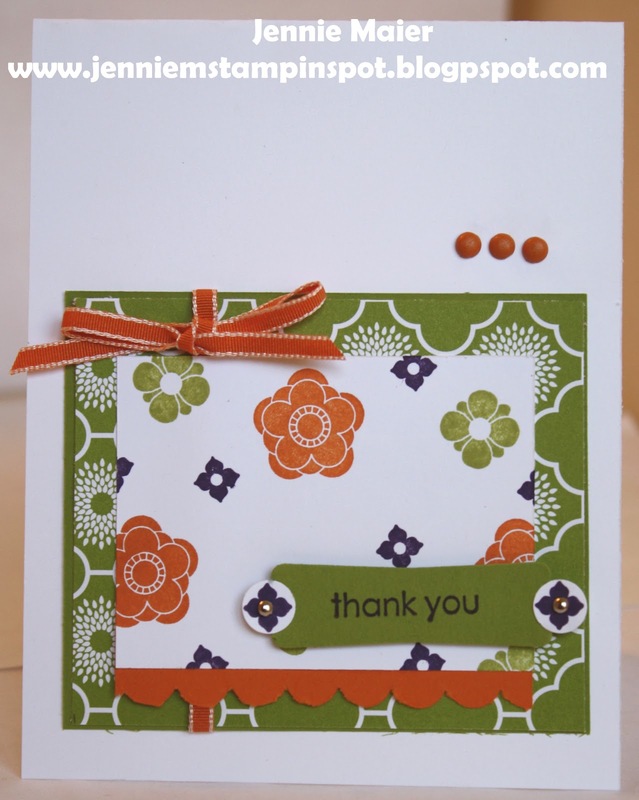 I used the Day of Gratitude stamp set. For this card I used a sketch and color challenge. 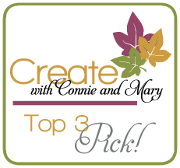 First, the sketch is from Create with Connie and Mary #217 here. And second, the color combo is from Pals Paper Arts Color Challenge#142 here. 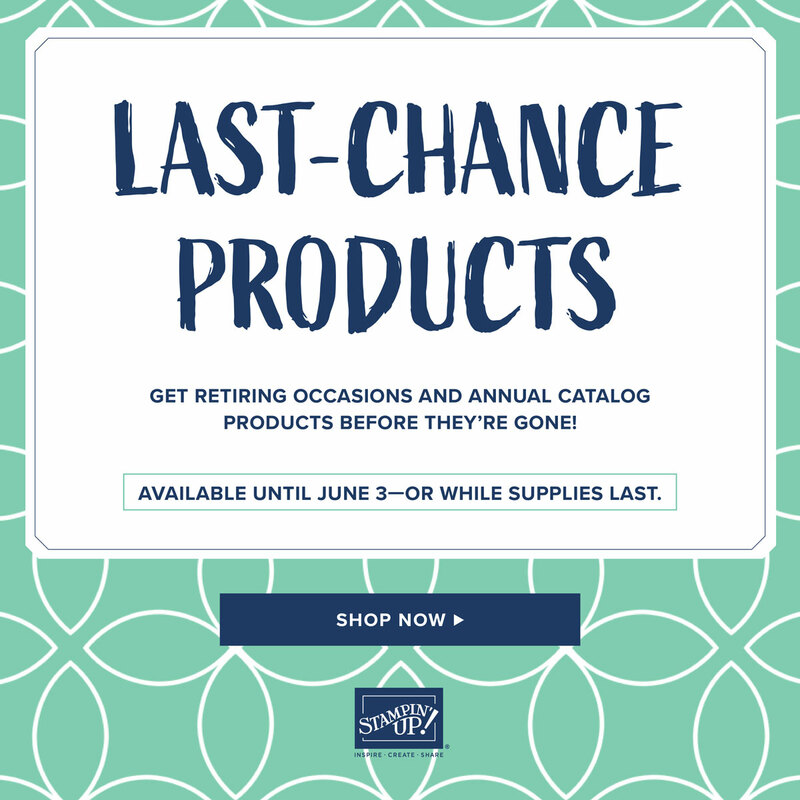 The colors to use are Elegant Eggplant, Lucky Limeade and Pumpkin Pie. I used the Fruit and Flowers and Embellished Events (for the greeting) stamp sets and some International Bazaar DSP. 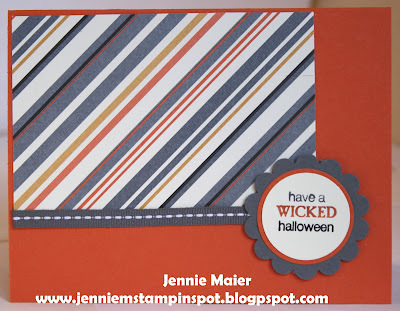 I used the Splitcoast Sketch Challenge#401 here for this Halloween card. I just flipped the sketch to use the cute stamp from Tricky Treats and the greeting from Teeny Tiny Wishes. Paired it with some Howlstooth and Scaringbone DSP and it's done! I used the Freshly Made Sketches#51 here for this card. 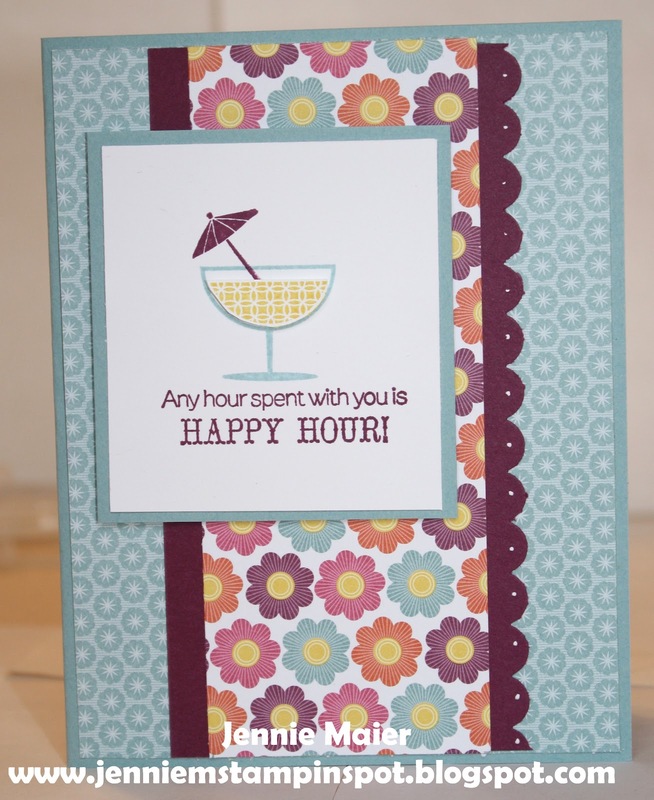 It's the Happy Hour stamp set paired with some Floral District DSP. Quick and cute! 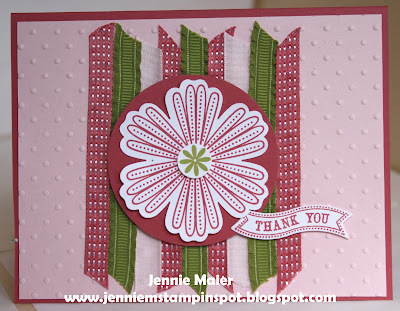 I used the Splitcoast Color Combination #391 here for this card. 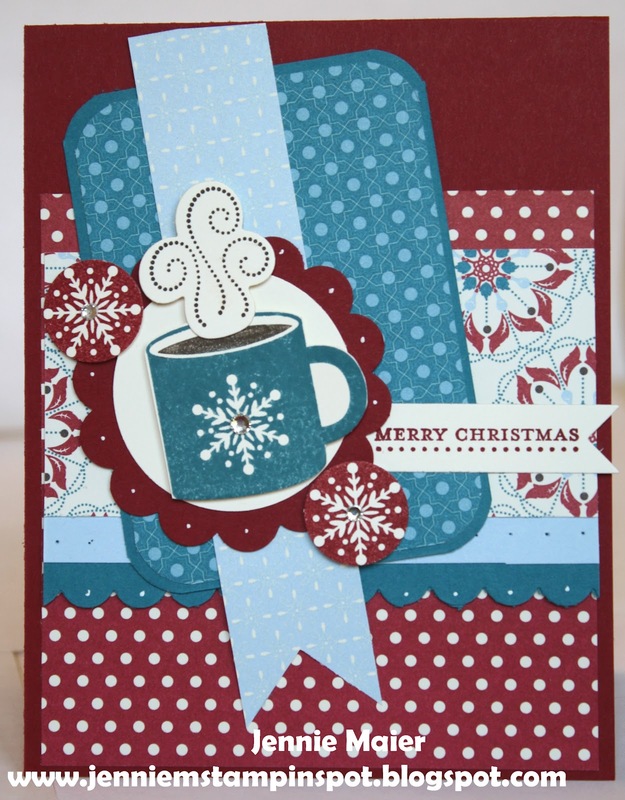 The colors to use are Gumball Green, Basic Gray and Chocolate Chip. I thought they're good for a masculine birthday card. 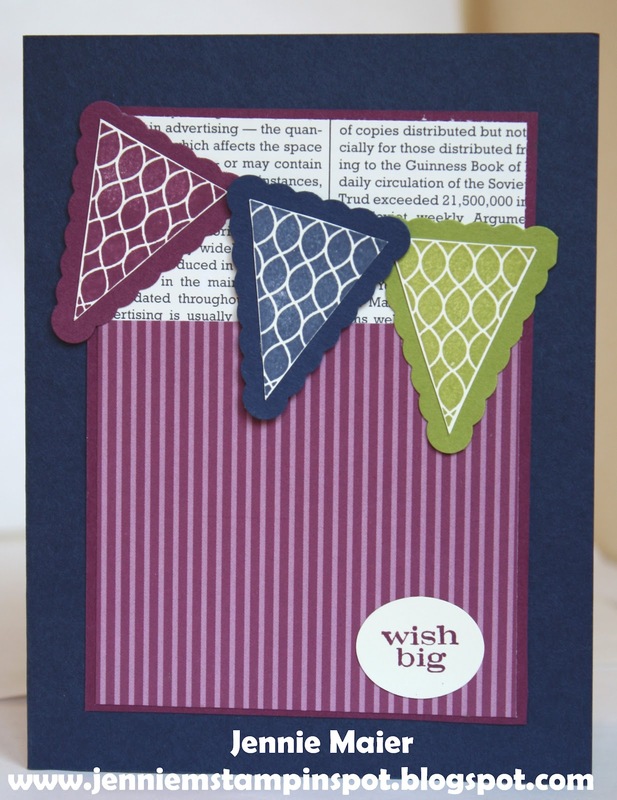 I used the stamp sets Pennant Parade, Four Frames and Petite Pairs. And some DSP Neutrals Stack. 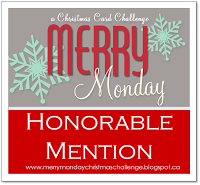 I used the MojoMonday Sketch#257 here for this card. I just can't stop using the Scentsational Season stamp set with the Festival of Prints DSP. I'm getting a good jump on my holiday cards. 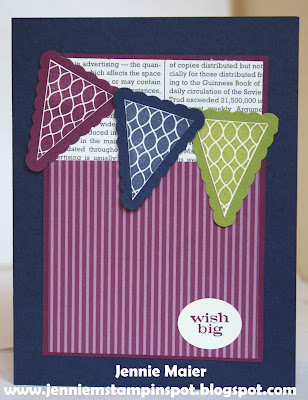 I found this new blog, Fab Friday Challenge Blog here, so I used their first sketch to make a birthday card. These papers are from the Festival of Prints DSP Stack and aren't they cute for a non-holiday card too? 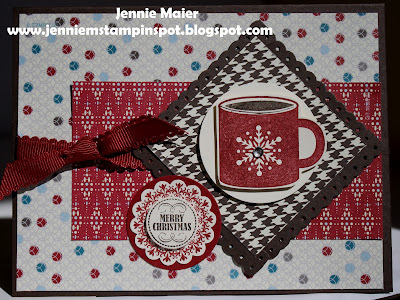 Itty Bitty Banners and Mixed Bunch are the stamp sets. 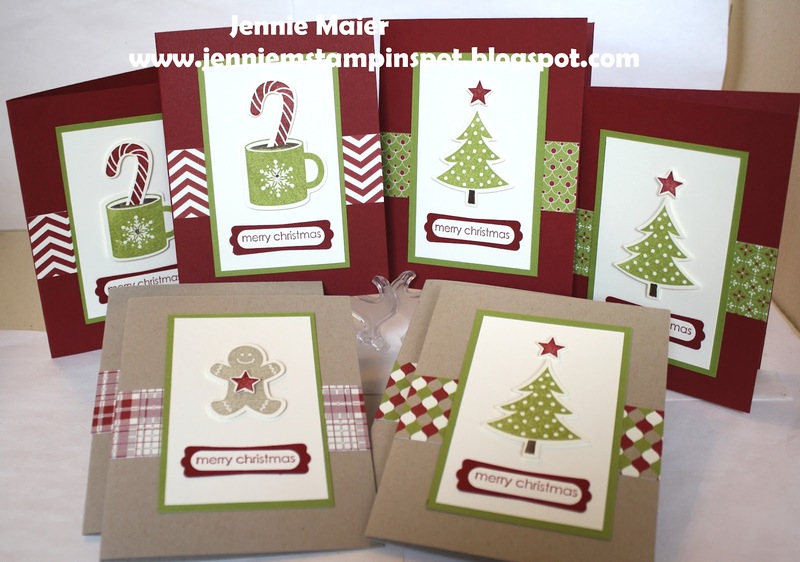 I was able to whip up these 8 cards really quickly thanks to this video of Cards in a Flash by Connie Stewart here. 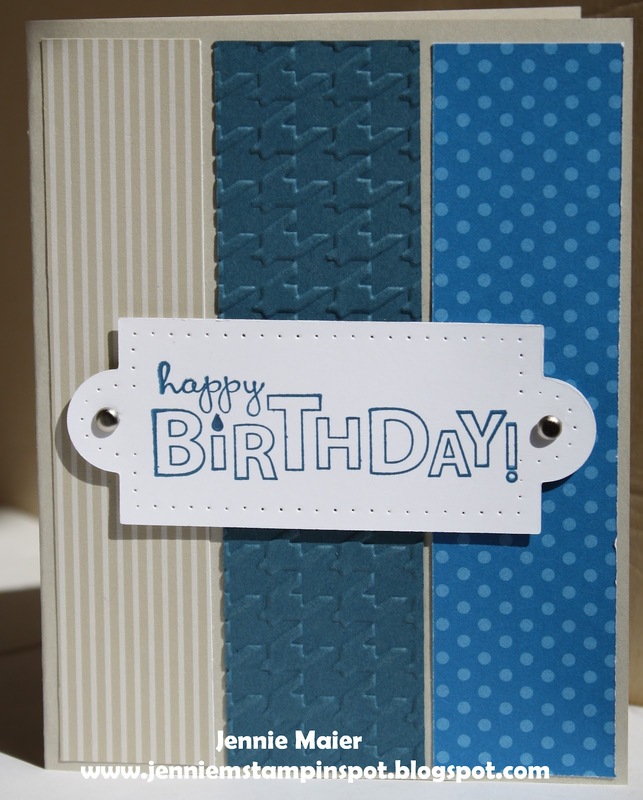 These 8 cards were made with 7 total pieces of card stock. Her idea is awesome and you should all try it! I used the Scentsational Season stamp set, Embellished Events for the greeting and different papers from the Festival of Prints DSP. 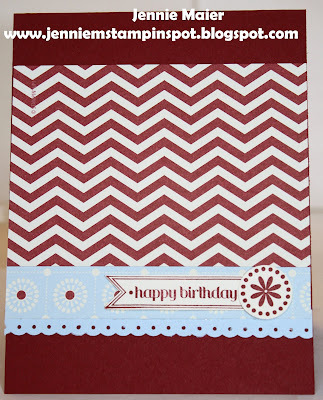 This birthday card is for two challenges. 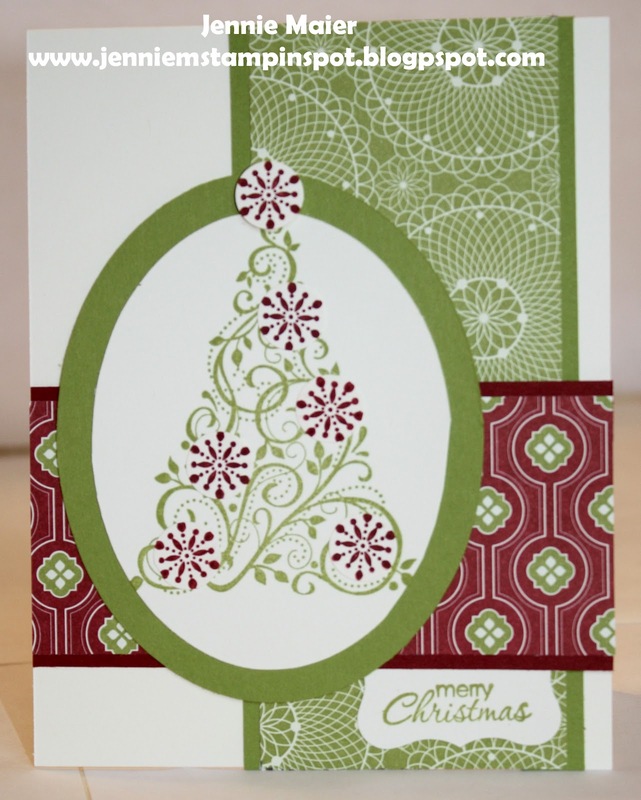 First, I used the Clean and Simple Stamping FTL#205 here. And second, the Create with Connie and Mary Color Challenge#216 here. The colors to use are Rich Razzleberry, Night of Navy and Lucky Limeade. I used the Pennant Parade stamp set with some First Edition Specialty DSP and some DSP Brights stack. 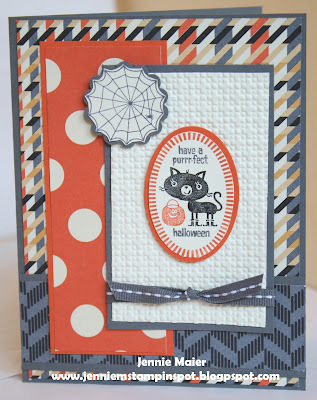 This Halloween card was made using the Freshly Made Sketch#50 here. I used the Tricky Treats and Mixed Medley stamp sets with some Howlstooth & Scaringbone DSP.